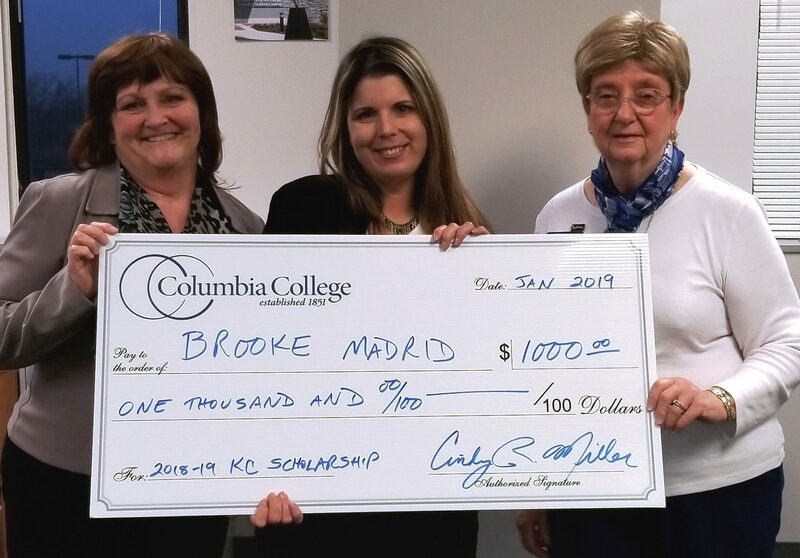 Columbia College Regional Director, Region 2 and Director of the Kansas City location Cindy Miller recently announced that student Brooke Madrid (Raytown, Missouri) has been awarded the location’s scholarship for the 2019 academic year. Madrid is a junior working toward a degree in business. 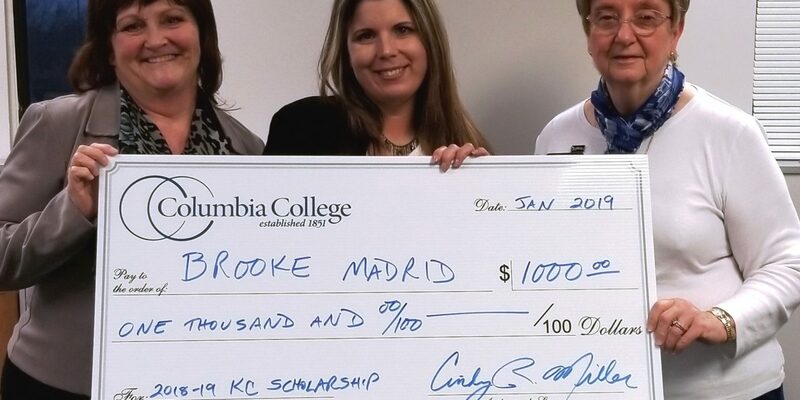 The $1,000 scholarship is presented annually to a current Columbia College-Kansas City student.